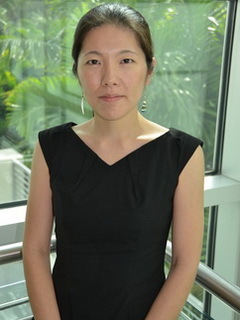 Yui Matsuda is an Assistant Professor at the University of Miami School of Nursing & Health Studies. Dr. Matsuda completed her postdoctoral fellowship at the University of North Carolina at Chapel Hill, graduated from Virginia Commonwealth University with a PhD in Nursing and Master of Public Health (MPH), and graduated from Liberty University with a Bachelor of Science in Nursing (BSN). Dr. Matsuda’s research focus is to improve health of underserved populations through culturally tailored highly individualized interventions in the community. Specifically, she has worked with immigrant Latino families during her research, focusing on family planning, couples’ power dynamics and communication, and the mental health of mothers whose children are identified with developmental delay. She is currently working on examining implementation quality of a highly individualized intervention. Her clinical expertise includes Public Health Nursing as well as Adult Acute Care Nursing. She also has experience in caring and promoting the health of people in faith-communities. As a native of Japan and because of unique cultural immersion in the US, she speaks Japanese, English and Spanish.